The academic community has investigated sealing systems in great detail, especially systems for the sealing of fluids in hydraulic systems. 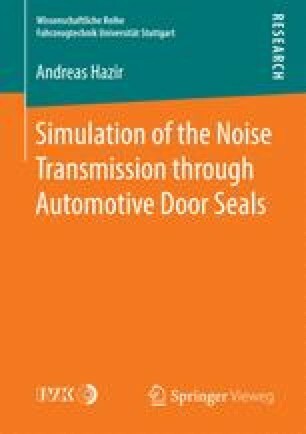 The topic of noise transmission through sealing systems on the other hand is only a niche. In the automotive industry, door sealing systems are often considered as mechanical boundary conditions of the adjacent parts, not as important contributors to the interior noise level.